Slaty Creek Campground Number 3 is the third of three campsites along Slaty Creek within the Creswick Regional Park. This campsite is a large clear area alongside the creek and features a fire pit with barbecue plate. Picnic facilities and toilets are located at Slaty Creek Campground Number 1, about five minutes drive from here. Slaty Creek Campground Number 2 is located right alongside Slaty Creek Campround Number 1. 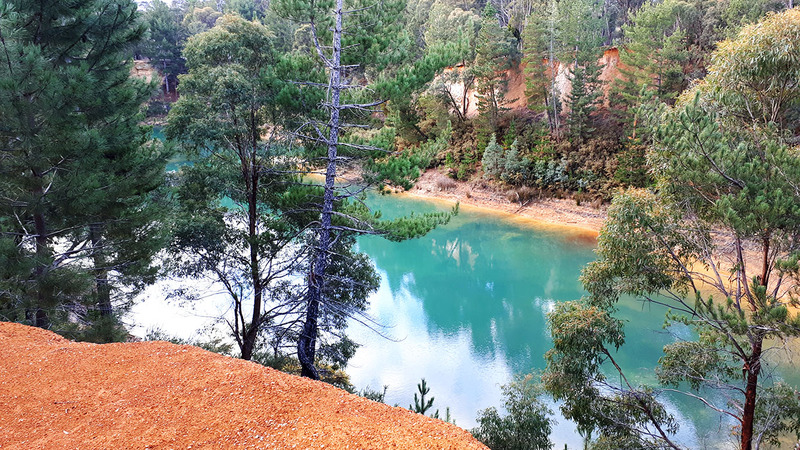 While you're camping here be sure to check out Blue Waters, located less than 15 minutes drive away through the Creswick Regional Park. Once an open cut mine, Blue Waters is now a gorgeous scenic area fantastic for swimming, bushwalking and photography. Surrounded by striking red cliffs, the water is incredibly clear and shines an iridescent blue when the sun hits it. Blue Waters, Creswick Regional Park. Less than 15 minutes from Slaty Creek Campground Number 3.